To automatize one of the above mentioned login providers, select it in the Auto login column on the Login providers page (System tab => Security group => Login providers button in the Central Administration). To change the user who is logged in to contentWEB with his auto login provider (e.g. with Office 365 in this use case) open the user menu in the upper right corner and click option “Change user”. 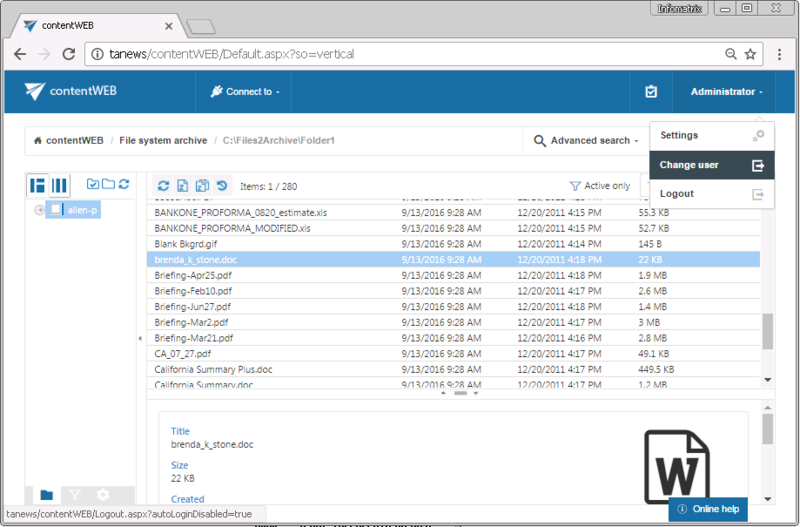 Logout from contentWEB works the same way as the logout from the contentACCESS Central Administration.